The Prismatic Winds will perform works by Karl Pilss, Ferenc Farkas, and Miguel del Aguila. The quintet is please to be joined by Aaron Miller who will be featured on Double Bass for Four Pieces by Farkas. Miguel del Aguila’s Wind Quintet No. 2 is a unique work that includes extended techniques for the quintet. These techniques including flutter tonguing, singing, pitch bends, and key clicks. The variety of music in this program is designed to appeal to all audiences. 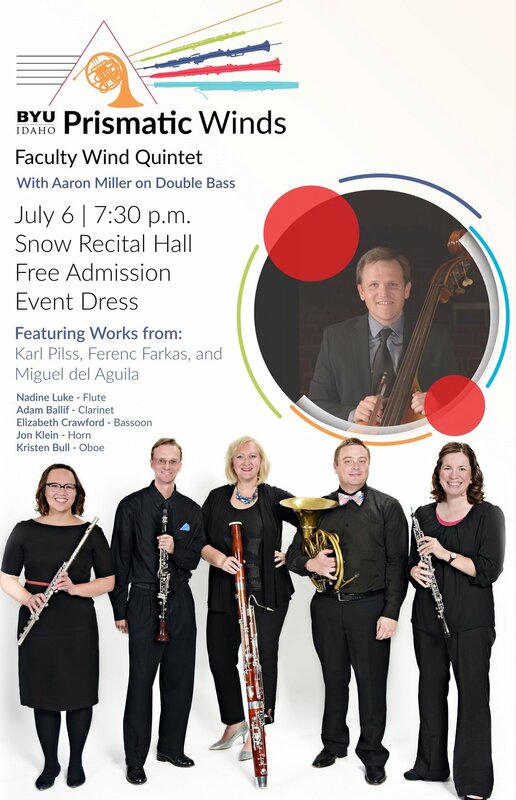 The recital will be held in the Snow Recital Hall on Thursday, July 6, 2017 at 7:30pm.